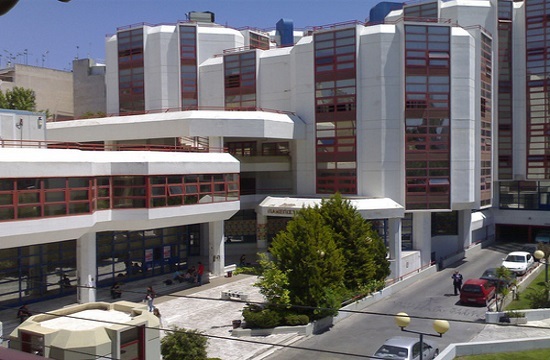 Tornos News | Piraeus University marks 20th anniversary of International and European Studies Dept. Piraeus University marks 20th anniversary of International and European Studies Dept. ATHENS – The 20th anniversary of the establishment of the Department of International and European Studies of the University of Piraeus was celebrated last week with its International Academic Conference titled Greek Foreign Policy in the 21st Century. The two-day conference was held in the Krandiotis Venue of the Greek Ministry of Foreign Affairs, across the street from Parliament. Welcoming messages were offered by Dr. Angelos Kotios, Rector of the University of Piraeus, Dr. Michael Sfakianakis, Dean of the School, and Dr. Aristotle Tziampiris, Chairman of the Department. Among the five panels that ranged widely from geopolitics to economics to the increasingly important energy sector was the closing discussion, Transformation in the South-East Mediterranean. It was moderated by Professor Marina Mendrinou and featured Minister of Foreign Affairs of the Republic of North Macedonia Nikola Dimitrov, former Minister of Foreign Affairs of the Republic of Albania Ditmir Bushati, and Minister of Foreign Affairs of Bulgaria Daniel Mitov. The speakers emphasized the importance of developing the emerging “Quadrilateral” relationship among those countries and Greece. The two-day program culminated with the presentation of an award by Sfakianakis to Emeritus Professor and former Minister of Foreign affairs Nikolaos Kotzias, who then presented the event’s keynote speech titled Four Years of Active Greek Foreign Policy: A Review and a Plan.